NOTE: Comments or suggestions regarding this website may be forwarded to the webmaster. We will present four concerts for this, our 71st season. The Antelope Valley Community Concerts Association is now in its 71st successful year. We provide high quality concerts performed by renowned artists and young performers on their way to prominence. 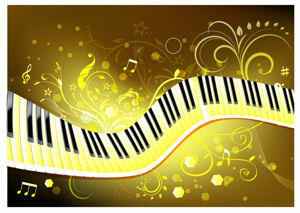 Concerts encompass a variety of classical, jazz and popular artists. 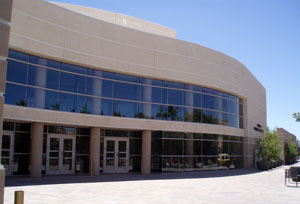 Performances are held at the Lancaster Performing Arts Center (LPAC). An annual membership fee of only $70 provides four professional concerts a year. As a bonus you can attend concerts in neighboring communities on a reciprocity basis. Memberships are available by mailing the application directly to: AV Community Concerts, P.O. 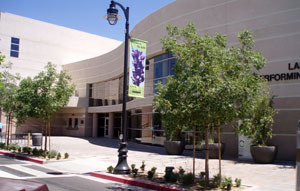 Box 1085, Lancaster CA 93584 or through the LPAC Box Office (661)723-5950. Membership for youth 18 and under is only $20. Ticket prices for single performances vary and are available only through the LPAC Box Office. Student rush tickets are available one hour before the concert for $10 at the box office. * This season we will be sponsoring a "Student Outreach" program for underserved youth, thus promoting the magic of live entertainment by having the performing artists go to the students.